The Sashimi Martni at Koto Japanese Steak & Seafood on Washington Center Road. The Garden of Eden sushi appetizer at Koto Japanese Steak & Seafood on Washington Center Road. 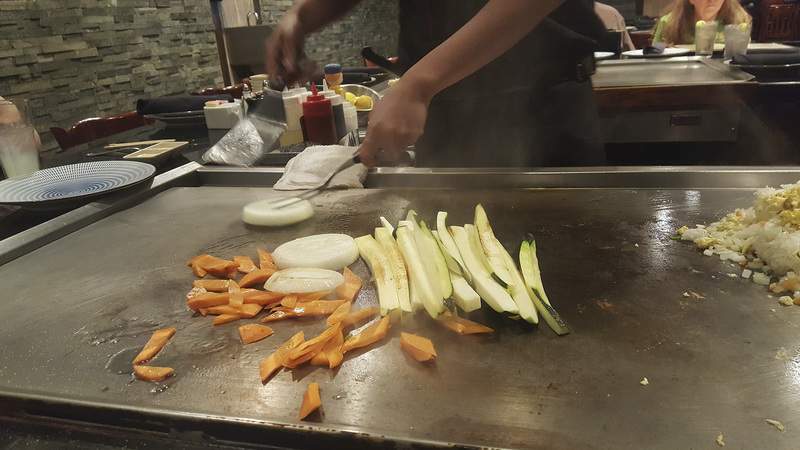 A chef prepares vegetables and rice on a tappanyaki grill at Koto Japanese Steak & Seafood on Washington Center Road. Hibachi Tuna at Koto Japanese Steak & Seafood on Washington Center Road. The Ocean Treasure combo at Koto Japanese Steak & Seafood on Washington Center Road. The Hibachi Rib-eye at Koto Japanese Steak & Seafood on Washington Center Road. Seafood salad at Koto Japanese Steak & Seafood on Washington Center Road. The Poke Bowl with salmon at Koto Japanese Steak & Seafood on Washington Center Road. There are certain expectations a person has when dining out. You expect to be welcomed, expect to be waited on promptly and expect your food to be of a certain quality. And though some facets of your visit will meet or even exceed those expectations, it is usually the expectations that are not met, no matter how small or insignificant, that sometimes are what you will remember most when looking back on that meal. 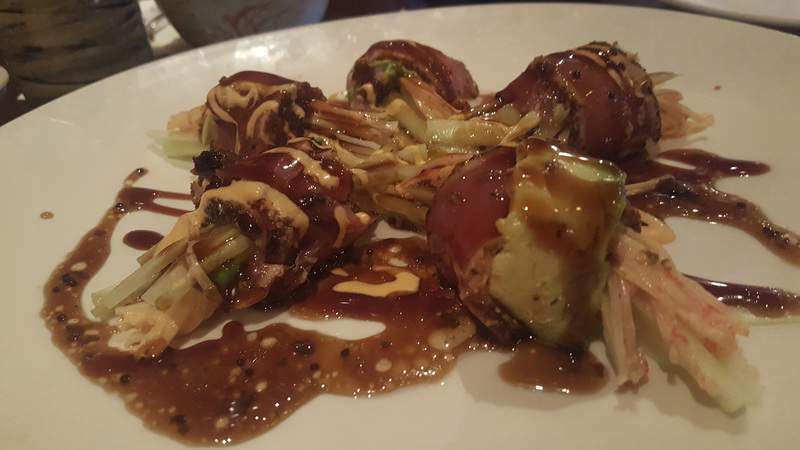 During my recent visits to Koto Japanese Steakhouse and Sushi, many expectations were met, but there were some details I could not get past. Koto always presents a conundrum given the duality of the place. Do I want to chow down on sushi or do I want to go in the other room and enjoy the dinner and show that the teppanyaki grills and the folks manning them provide. Now you can get both by sitting at a regular table and ordering sushi and grilled items, but those grilled items will not be cooked in front of you and you will not get to see the onion volcano. I find it best to go for the grill, get the corny show and add an appetizer or two from the sushi side of the menu. The seafood shined at Koto no matter where I sat. 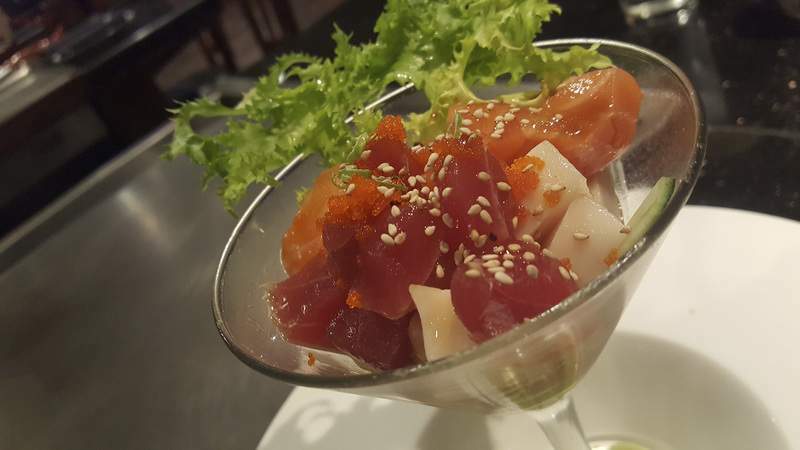 The Sashimi Martini was quickly gobbled down as I waited on my teppanyaki chef to arrive. It featured tuna, salmon, white tuna, snapper, fish roe and octopus mixed in a spicy sauce. 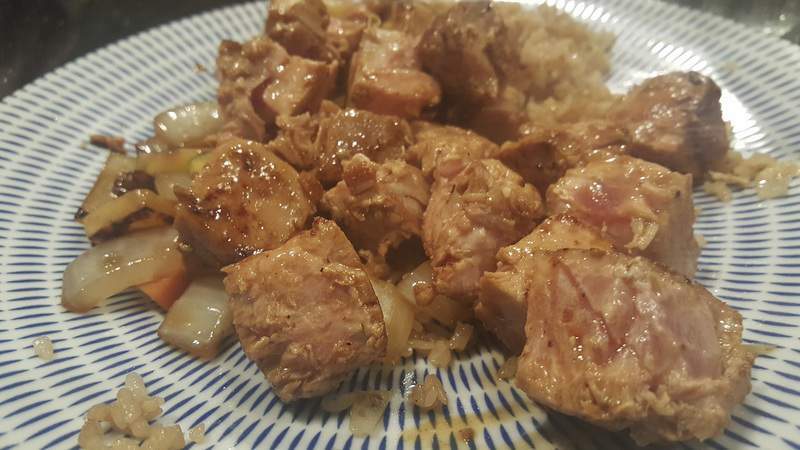 The tuna cubes were the stars – firm and fresh – and I found the sauce to be more sweet than spicy, but it was delicious nonetheless. Slivers of cucumber provided some crunch and the only flaw was in plating, as the martini glass it was served in was unnecessarily jammed into a wide bowl. The tuna steak was perfectly executed on the grill to be pink and rare, it was seasoned just right and I could eat it pretty much every week and not get tired of it. 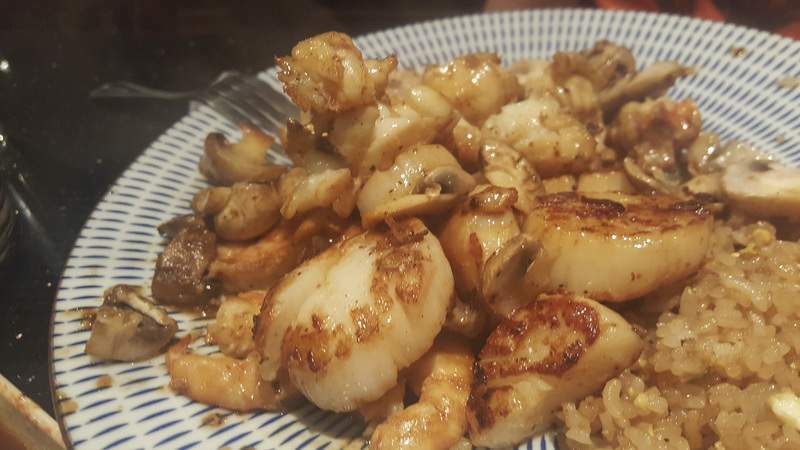 Even better was the Ocean Treasure combo, which had it all – shrimp, scallops and lobster tail – kissed with char from those flat grills. It was exquisite. And though it seems my expectations were met at the grills, there were some details I just could not overlook. My rib-eye was simply bad. The meat was not well marbled, was very tough, even though I asked for it on the rare side, and I was sorry I paid so much for it. It wasn't even as good as the much-cheaper sirloins I could get at a chain steakhouse. What added to my disappointment was my sauce choices. I am not a big fan of sauces on steak but will use a little of the mustard sauce most Japanese steakhouses offer. At Koto, there was sauce specifically for the beef. It had standard thick, red sauce that pairs well with vegetables, chicken and seafood, or you could get Yum Yum sauce. 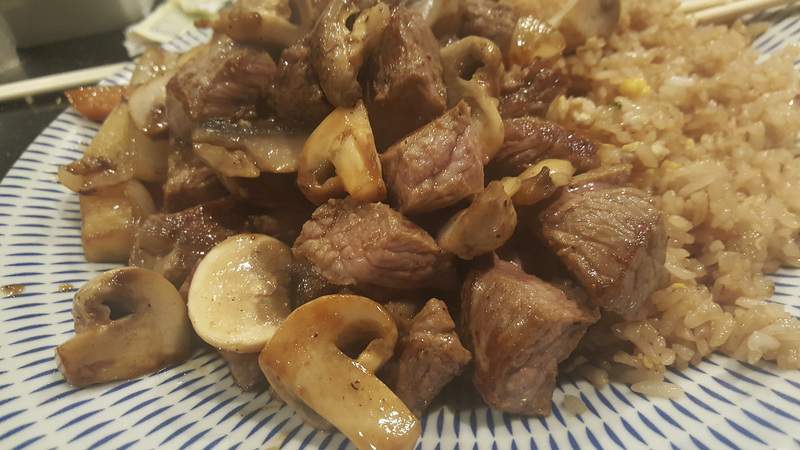 I watched another couple order extra portions of the loose, white Yum Yum as the food was prepared and was surprised they didn't put a straw in it as they slathered it on their steak, shrimp, rice and pretty much everything in front of them. But I found nothing yummy about the Yum Yum. It was sickeningly sweet and added no other flavor. Even worse than missing that mustard sauce was what was missing from my fried rice – flavor. Koto made easily the most bland fried rice I have ever had at a Japanese steakhouse. I don't know if there was a shortage of soy sauce or what, but it tasted like plain rice. Even worse, there were no bean sprouts. Those crunchy sprouts are magical when lightly grilled and seasoned with soy. Toasted sesame seeds sprinkled on top? Not a chance. Koto didn't have those, either. During what I thought was going to be a sushi-heavy lunch visit, I didn't even really have much sushi as the only thing I had that was rolled was an appetizer. And that appetizer was the highlight. The Garden of Eden featured spicy crab, cucumber and avocado wrapped with tuna, all coated in a dark, sticky-sweet yuzu sauce dotted with a lot of black pepper. That pepper packed a punch, but it worked wonderfully with the mayo mixed with the tuna taming it a bit. It was a fork-necessary roll as it was messy and did not hold together well, but I would have gladly gotten all dirty to eat it if I had to because it was delicious. My seafood salad needed a lot more mayo because it came off as dry. It was pretty mediocre until my server suggested adding a little spicy mayo to it, and that did the trick from a flavor and texture standpoint. There was nothing that was going to salvage the Poke Bowl. I chose salmon instead of tuna or white tuna for this salad-like creation. 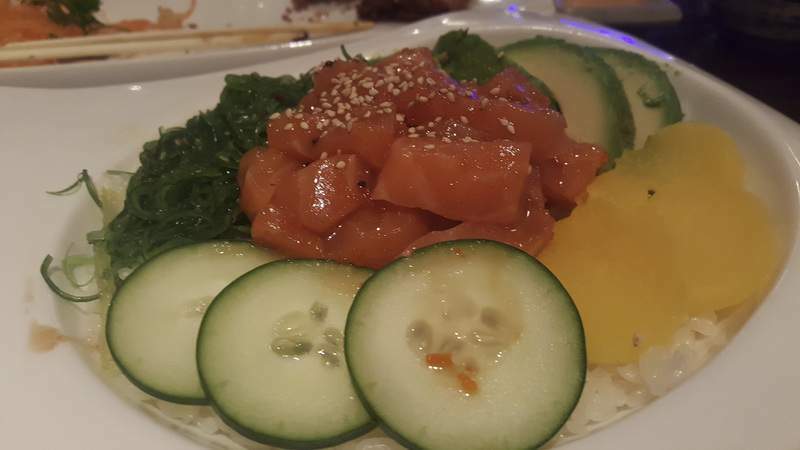 It had big fatty pieces of salmon in the center of a bowl atop sushi rice and was surrounded by cucumber, avocado, daikon radish and seaweed salad with three sauces – the dreaded Yum Yum, eel sauce and spicy mayo. It would have been fine but the seaweed salad, which smelled and tasted like a dirty fish tank, tainted the whole dish. I pulled what salmon I could out of it and slathered each piece of fish with soy and combinations of the other sauces to try to hide the funk, but my efforts were in vain. Given how off that seaweed salad tasted, I realized why I disliked the gratis cup of miso soup I had to start my meal. It had a lot of seaweed in it, too. 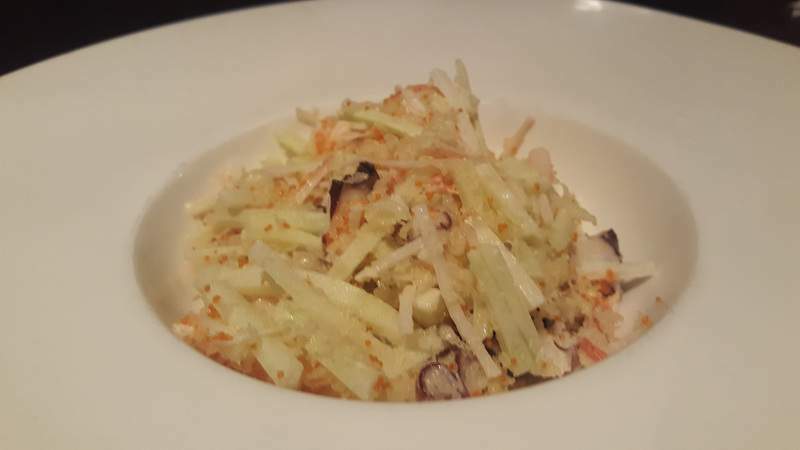 Overall, I had a few tasty dishes during my visits and found the atmosphere and service to be suitable at Koto. But that seaweed is probably the detail that will stick with me the longest.